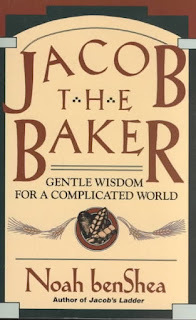 This is a great final novel in the Jacob the Baker trilogy. 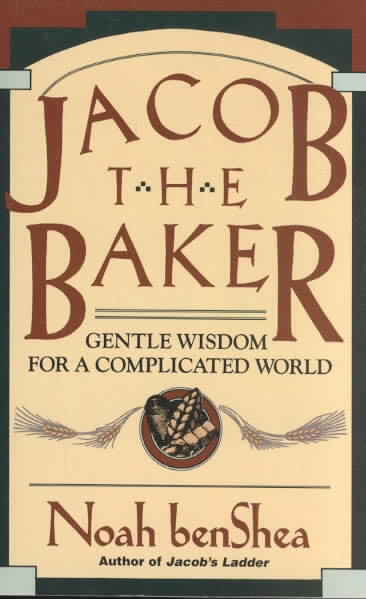 Preceded by Jacob the Baker and Jacob's Journey, Jacob is back in his hometown. Jacob has received an unexpected gift and responsibility. 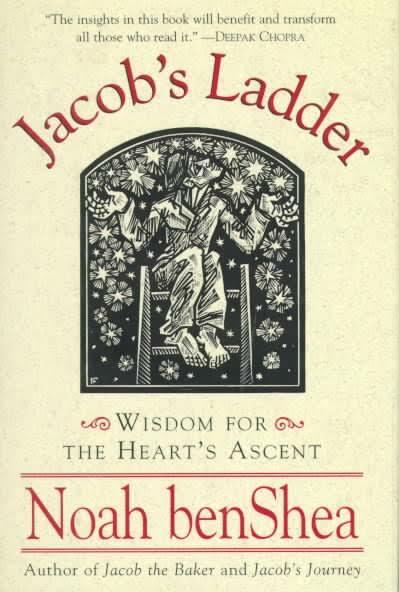 Ezra, from the council of sages, has sent his orphaned grandson, Johan, to learn wisdom from Jacob. 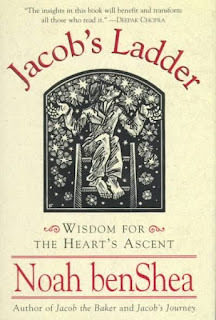 This is a new phase of life for Jacob, who was always content in the silences of his single life. Now there are the noises and disturbances of a young boy. Yet the boy does not come alone. The local schoolteacher comes to visit Jacob, and wants Jonah to go to school. Thus Ruth becomes friend to both Jacob and Jonah. 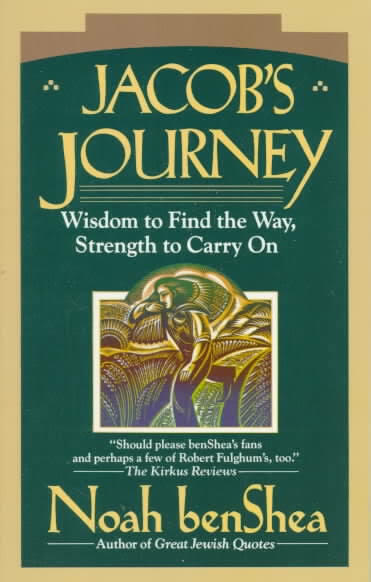 This is a great book in the tradition of the Jewish sages. 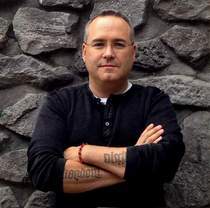 Mr. benShea writes with a skill, power and conviction that will touch your heart.Jacob the Baker, Jacob's Journey and Jacob's Ladder.Author Profile interview with Noah benShea. I have now read this book three times - twice for school courses and once for personal reading. With each reading I find that a deeper understanding of the subject is obtained. This book is a great examination of the human heart, the different types of loves and how they each interact. Lewis examines: Affection, Friendship, Eros, and Charity. In each of the first three categories he shows both good and bad examples of that form of love, or in other words, the love and the perversion of that love. Lewis states: "Let us make no mistakes. Our Gift-loves are really God-Like, and among our Gift-loves those are most God-Like which are most boundless and unwearied in giving. All the things the poets say about them are true. Their joy, their energy, their patience, their readiness to forgive, their desire for the good of the beloved - all this is a real and all but adorable image of the Divine life." 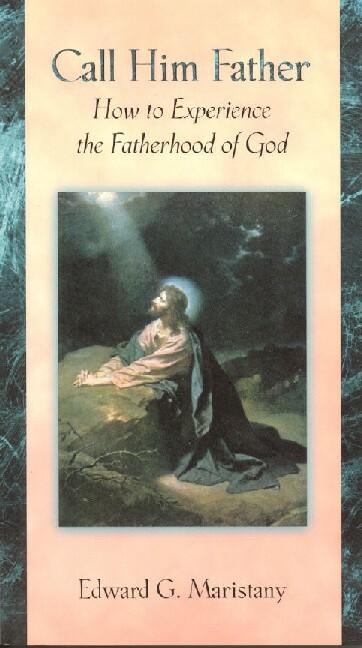 p.9 This is the ultimate in love; this is when our love comes closest to God's Love. Lewis gives us a great study in love, what love is, what it means to truly love and some of the pitfalls of love gone askew. 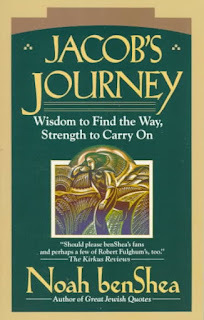 This book will help you live and love better. I really want to rant about this subject, for a number of reasons. As someone who has been a student here at UW for 8 years now, I have to say that most bike riders in the University area are a menace to themselves and to others. I love riding my bike, and for most of my time here at UW had no access to a motor vehicle and thus rode my bike 8 to 10 months a year. But the cyclists around campus are most often obnoxious, dangerous and infuriating. IT IS AGAINST THE LAW IN ONTARIO TO RIDE A BIKE ON A SIDEWALK! From the Ministry of Transportation Ontario’s (MTO) website it states: “The Ontario Highway Traffic Act (HTA) defines the bicycle as a vehicle that belongs on the road. Riding on the road means mixing with other traffic. This is only safe when all traffic uses the same rules of the road. When everyone operates under these rules, actions become more predictable. Drivers can anticipate your moves and plan accordingly. Likewise, you too can anticipate and deal safely with the actions of others.” That means, if you are on 2 wheels, get off the sidewalk! This is especially needed now that both University Ave. and Columbia St. have bike paths. I recently checked with a member of the RCMP and was informed that not only is it illegal to ride on the sidewalk, but also illegal to ride the wrong way on a bike path. So if you’re on a bike, obey the rules of the road. I have a friend in town, who is a professor, who happens to walk with a cane. He has been hit by bikes on Columbia more than three times. He has been knocked down and often the cyclist does not even stop to see if he is okay. Who in the world is that ignorant!? HTA 144/136 -Traffic signals and signs - stop for red lights and stop signs and comply with all other signs. HTA 153 – One-way streets - ride in the designated direction on one-way streets. HTA 147 - Slow moving traffic - any vehicle moving slower than the normal traffic speed should drive in the right-hand lane, or as close as practicable to the right edge of the road except when preparing to turn left or when passing another vehicle. For cyclists, you must ride far enough out from the curb to maintain a straight line, clear of sewer grates, debris, potholes, and parked car doors. You may occupy any part of a lane when your safety warrants it. Never compromise your safety for the convenience of a motorist behind you. HTA 142 - Signaling a turn - before turning, look behind you and signal your turn. Cyclists can use their right arm to signal a right turn. HTA 140/144(29) - Crosswalks - stop for pedestrians at crosswalks and walk your bike when crossing at a crosswalk. HTA 166 - Streetcars - stop two metres behind streetcar doors and wait until passengers have boarded or departed and reached the curb. HTA 175 (12) - Stopped School Buses - stop for stopped school buses when the upper alternating red lights are flashing and the stop arm is out. HTA 62 - Lights - a bike must have a white front light and a red rear light or reflector if you ride between ½ hour before sunset and ½ hour after sunrise. HTA 62 (17) - Reflective tape - a bike must have white reflective tape on the front forks and red reflective tape on the rear forks. HTA 75 (5) - Bell - a bike must have a bell or horn in good working order. HTA 64 - Brakes - a bike must have at least one brake system on the rear wheel. When you put on the brakes, you should be able to skid on dry, level pavement. HTA 218 - Identification - Cyclists must identify themselves when stopped by police for breaking traffic laws. The police officer will ask you for your correct name and address. HTA 185 - Expressways - Bicycles are prohibited on expressway/ freeway highways such as the 400 series, the QEW, Ottawa Queensway and on roads where "No Bicycle" signs are posted. HTA 178 - Passengers - Passengers are not allowed on a bicycle designed for one person. HTA 178 - Attaching to a vehicle - You are not permitted to attach yourself to the outside of another vehicle or streetcar for the purpose of "hitching a ride". HTA 104 - Helmets - Every cyclist under the age of eighteen must wear an approved bicycle helmet. Parents or guardians shall not knowingly permit cyclists under sixteen to ride without a helmet. Yes, some of these are not all that trendy, but neither is your hurting yourself, or putting someone else at risk. Use some common sense, be polite and be safe for yourself and for others! I know that, as a cyclist, sometimes, maybe even often, cars do not yield when you have the right of way or may even put you as a cyclist at risk. But you as a cyclist have choices; you can choose to walk instead, you can choose to ride and obey the rules of the road being extra vigilant of cars, or you can do what most cycling students do and become a danger to others by your behaviour. Sometimes the right decision is not the easy decision. A few years back I was hit on my bike on Columbia near Weber St. A classic Volkswagen Beetle drove up over my front wheel while making a right hand turn to cut through a parking lot, without even doing a shoulder or mirror check. My bike was toast; the guy had the wheel fixed but the forks were bent and it was never the same. However if I had been on the sidewalk and not the road, I would have been the person at fault. I do want to acknowledge that there are many cyclists who do follow most of the traffic rules, and regulations. They are a credit to their mode of transport. Yet unfortunately, too many cyclists, especially around campus, have a flagrant disregard for the law and the safety of others, and they endanger all near them, and they need to be taken to task on their reckless behaviour. So I implore you do the right thing, and ride on the road not the sidewalks, please. Kathy is one of those ‘not well known enough’ Canadian treasures She is a poet, author, and columnist. She has written extensively for the print media and online, especially here at her blog, “Relapsed Catholic ++ Where the religious rubber meets the pop culture road ++”, which is one of the top conservative or blogging Tories blog. Her blog has been up and running since 2000 and has won numerous awards. She has been a columnist here in Canada for The Catholic New Times and also The Catholic Register and currently writes for Our Sunday Visitor, both her prose and poetry. This is a great Indie book of poetry, with its cut-and-paste feel and custom, small press printing. It is wonderful to hold, feel and read. It is a collection of poems, some about dead people, and others that are spiritual, deep and moving - 25 pages of pure reading pleasure. Lead Down the Garden Path (Riverdale Un-soiled) is the only poem from this collection that is not in the larger collection Lobotomy Magnificat. At 14 pages this is definitely a small gem in Canadian poetry. Small but full of potency, this book will not disappoint. All of these poems are in Lobotomy Magnificat but without the artwork, graphics and funky layout of the poems. This book was nominated for the Governor General’s Literary Award for poetry. Lead Down the Garden Path (Riverdale Un-soiled) is the only poem from her first two books of poetry that did not make it into this collection. There are also 9 other poems in this collection. These poems come from over a dozen different sources. Each poem will spark something in you and draw you out of yourself and into the world in a new and greater way. God Rides a Yamaha is a must read for anyone struggling with illness, or who has journeyed with someone who has. 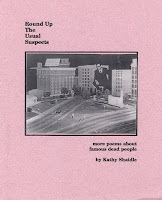 This is a book composed of a series of columns that appeared after Kathy was diagnosed with Lupus. They are sometimes raw, visceral, and yet they never lose hope, and continue to persevere and move on. These columns won Catholic writing awards. This book reads much like C.S. Lewis’s A Grief Observed and any fan of that book will love this one. This is a book that is a collection of articles that originally appeared in the Catholic New Times. This book looks at the 12 steps of AA and the history of the movement. If you have ever known any one who struggles with an addiction, this book will help you understand the organization that has helped provide a way out for people all over the world. 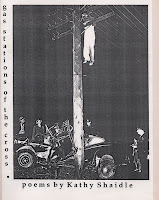 This is a collection of articles that originally appeared in The Catholic Register. She wanted to explain the catholic faith in a simple, clear, concise and precise way. 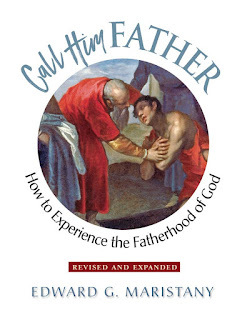 She calls herself a GenX cradle Catholic, and this book is wonderful. With at least one entry for each letter, and some with many, this book can be read from beginning to end, or flipped open and read at random. 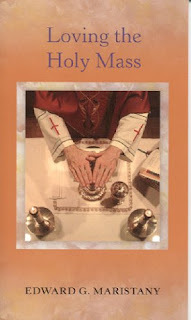 It contains nearly 200 pages of questions, meditations and recollections to inform, educate and amuse. Well worth a read. Kathy is an award-winning Toronto author, editor and writer for print & web. Check out her books - you will not be disappointed. I would go so far as to state that Kathy deserves the fame of Margaret Atwood, I would say that she is the Catholic Margaret Atwood of GenX.